Welcome everyone! Let’s see what you all have to share this week! This week I’m featuring a post that was a reminder that the little things do matter to our children. This post over on Care, Create, and Cook, has some easy and simple reminders for us all to make our children feel loved! Love the post you decided to feature this week. 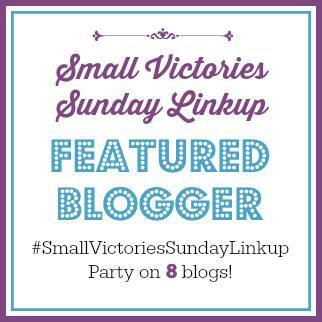 Thanks for hosting Small Victories Sunday Linkup with us Alecia!